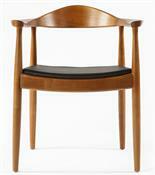 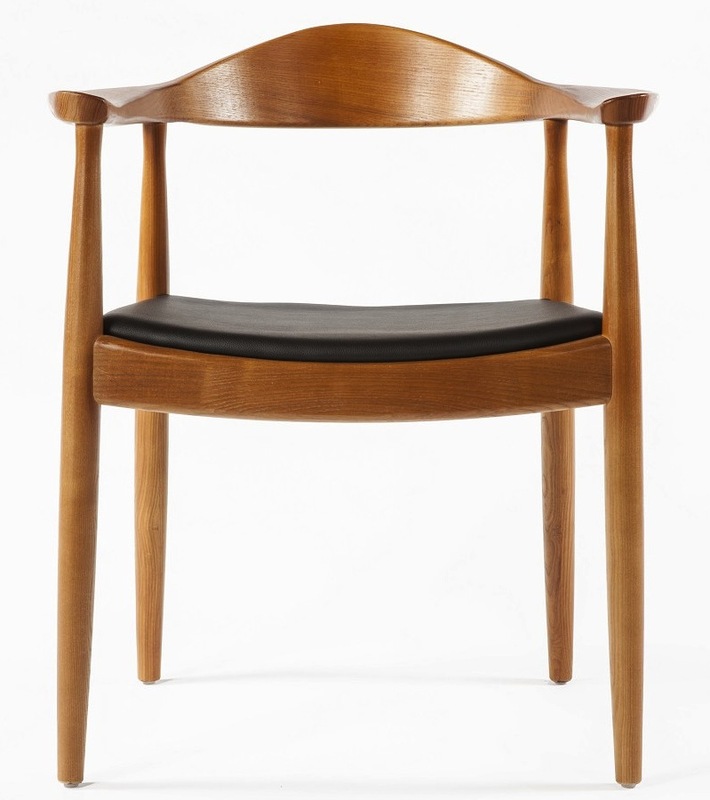 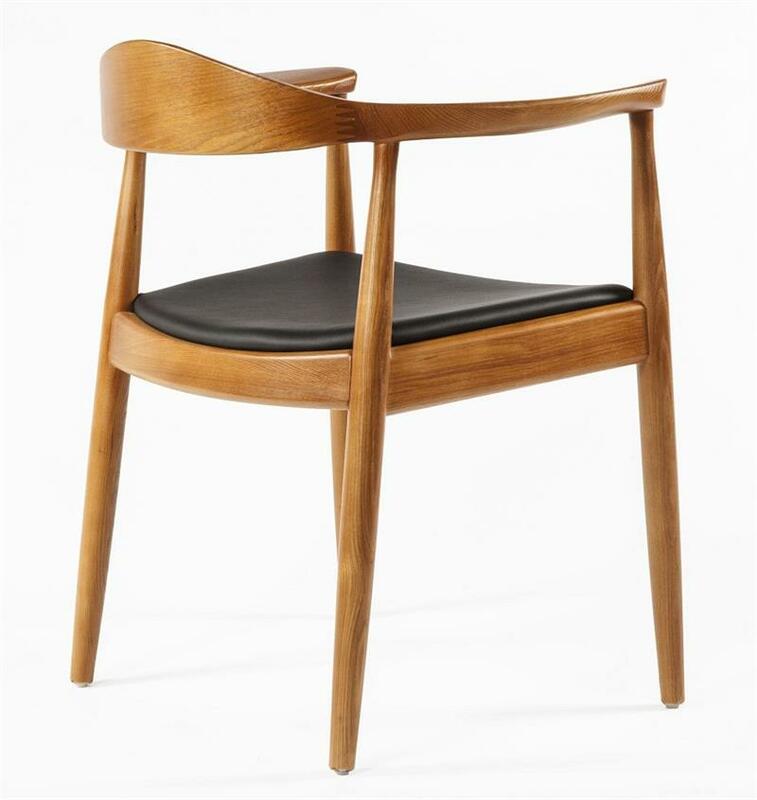 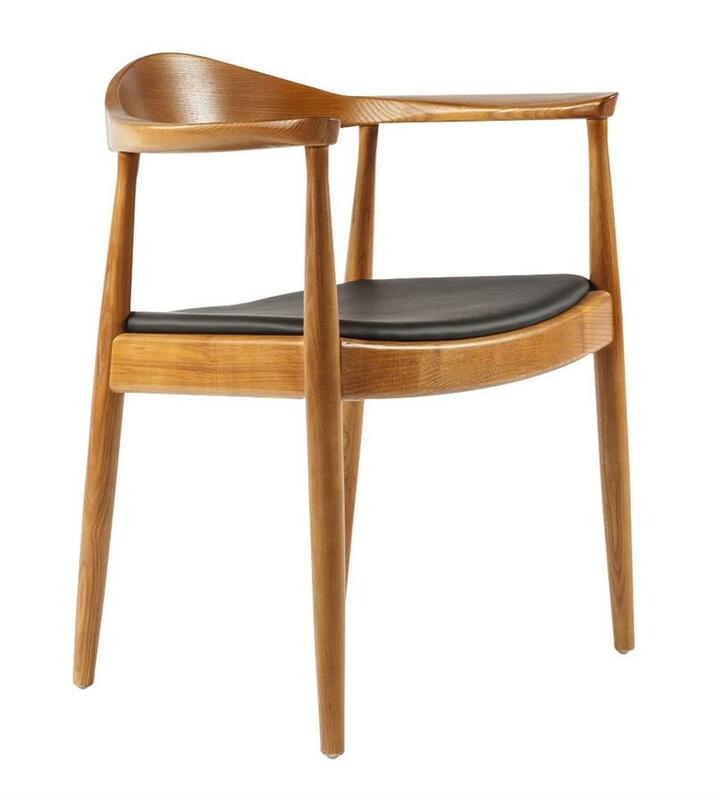 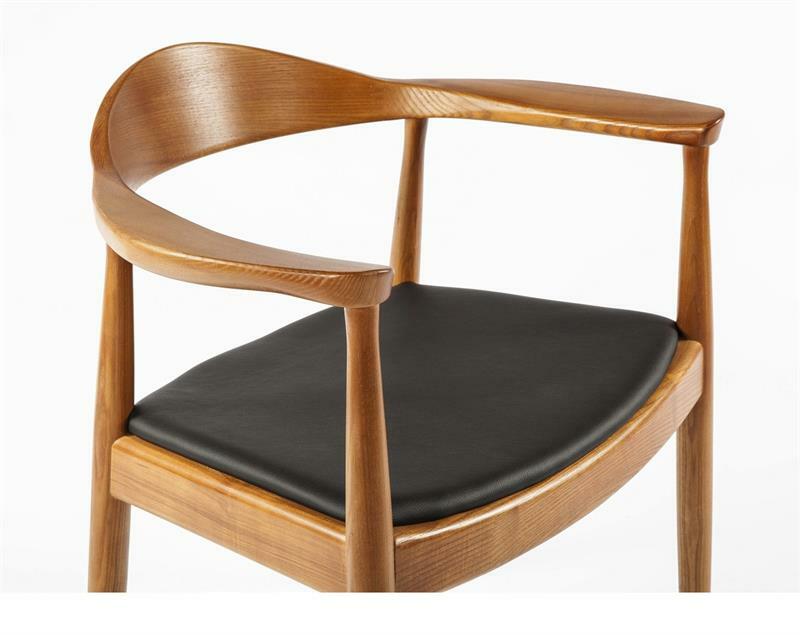 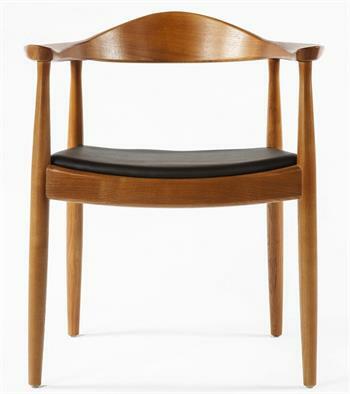 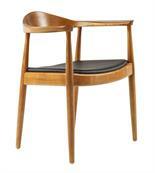 The Kennedy Arm Chair offers both sophistication and modern comfort; Inspired by a Hans Wegner classic design. 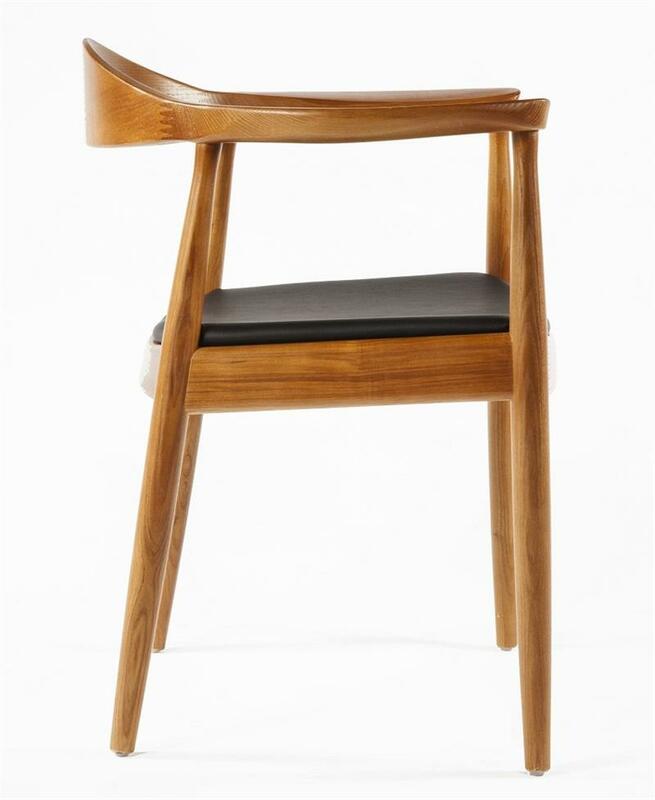 It is made from solid ash hardwood with a walnut finish, each detail and curve are joined effortlessly to create a timeless silhouette and showpiece. 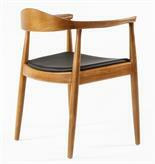 Comfort is provided by the elliptical back, elbow and armrests and padded seat covered with genuine black leather.